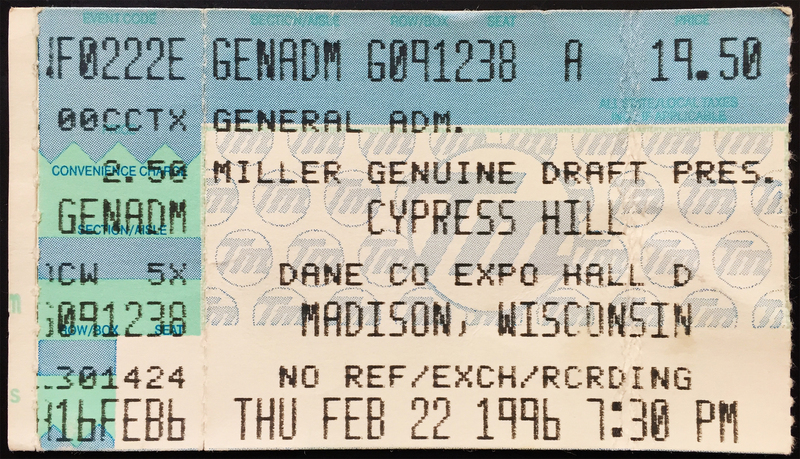 This 1996 Cypress Hill event was post III – Temples of Boom, their third studio release, and enveloped a moment in time that was arguably the group’s pinnacle state. At least, that’s what a bunch of us Juniors thought when we went to see them at the Dane County Expo Hall in Madison, Wisconsin. $19.50 for tickets… are you kidding me?! Oh, I forgot to mention that 311 and The Pharcyde were also present… UNDER $20, PEOPLE! $31.74 adjusted for inflation… still an absolute steal!